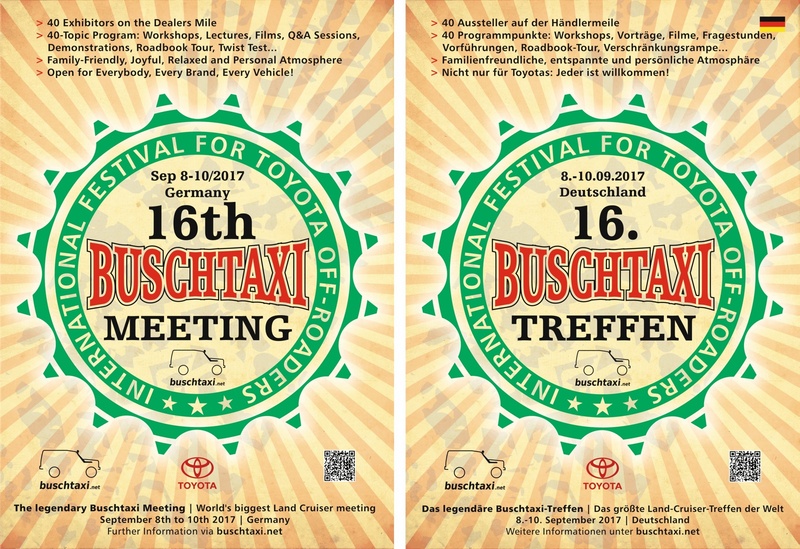 The Buschtaxi Meeting – three days of friendly and private athmosphere with loads of information, discussion, talks, workshops and a few hundred Landcruisers, Hiluxes, 4Runners, FJ Cruisers…in short: A family-friendly weekend with much time for talking, making plans, getting ideas, finding solutions, relaxing, making party – a short holiday with fun guaranteed! I’m looking forward to meet you all! – and, for sure, more fun than you can imagine!